1. 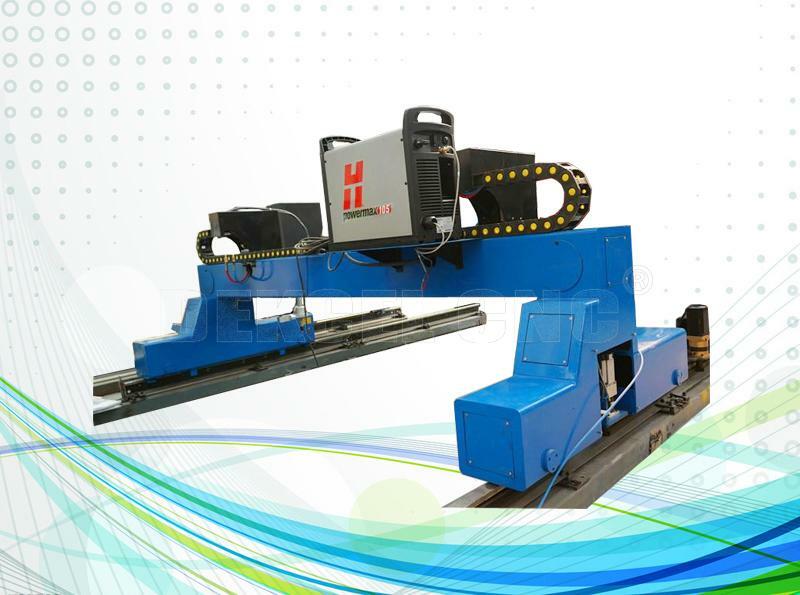 Gantry-type structure, Y-axis synchronous dual-motor drive and XYZ axis with circular rail (optional formula-type linear guide), steady transmission, and high accuracy. Perfect lathe table design, 10mm steel plates fixed on lathe table covered by cast sheath. The level difference of platform remains in 0-1.5mm. 2. Beam with light structural design, the structure has good rigidity, light weight, exercise inertia and low cost. Welded lathe bed of thick profiled steel, more solid and stable. 3. 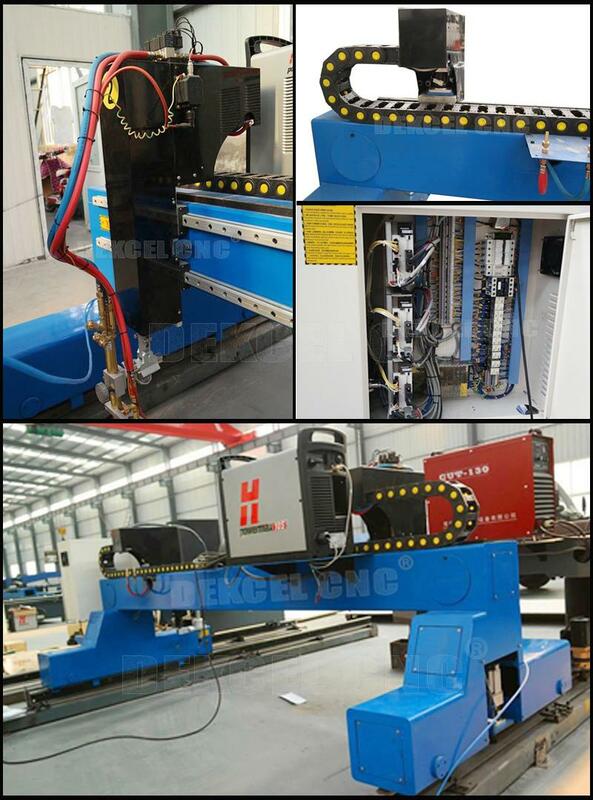 Cnc system configuration high, automatic arc, stable performance, the success rate of 99% arc. Cutting speed, high accuracy and low cost. 1. Dual drive, stable performance. 2. Box girder gantry structure, Y, X axis with rigid synchronous belt drive axis with electric automatic lifting, to assure cutting speed and quality. 3. Collocated udisk interface and cutting code auto converting software for cad drawing, cad drawing can be input directly into the cutter through u-disk. 4. The set-up is very simple; all kinds of cad graphics can be read directly by our system trough U-disk. The software can be edict graphics automatically. 5. Collocated indicator lights for various hitches. Hitch diagnosing is clear just at a glance and the maintenance is convenient and quick. 7. It is mainly applied in cutting heavy and middle metal steel. 8. Servo motor and driver (Panasonic), dural driver. 9. With break point or interruption of power, memory functions. 1. 1years quality guaranty, the machine with main parts(excluding the consumables) shall be changed free of charge when if any problem during the warranty period. 2. 24 hours on line service and email each day, free technical support. 4. Lifetime maintenance free of charge. 5. Machine has been adjusted before delivery.We will take machine photos and make machine working image for you ,after getting your agreement ,then we will book a ship. 6. If you have any problem during your use.you need our tchnician to judge where theproblem is and help you to solve it. We can provide team viewer and skype with cam till all of your problems solved. 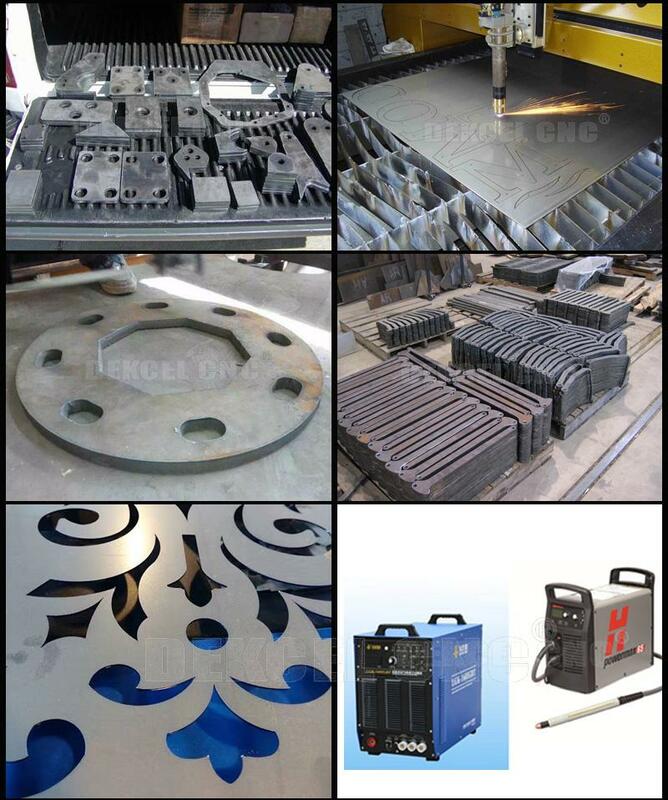 If you are interested in our cnc plasma metal cutting machine, or have any question about the plasma cutter cnc machine. 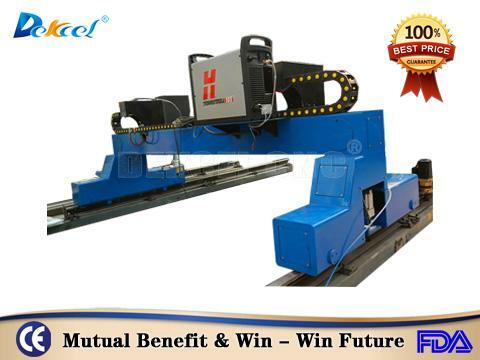 Please contact Jinan Dekcel Cnc Equipment Company as soon as possible. We are support service 24 hours online.